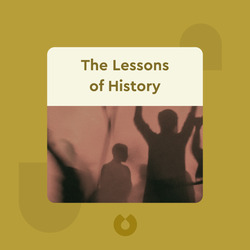 The Lessons of History (1968) gives an overview of more than 5,000 years of human history. It covers changes in morality, religion and governmental systems like socialism and capitalism, and traces the historical trends of war. 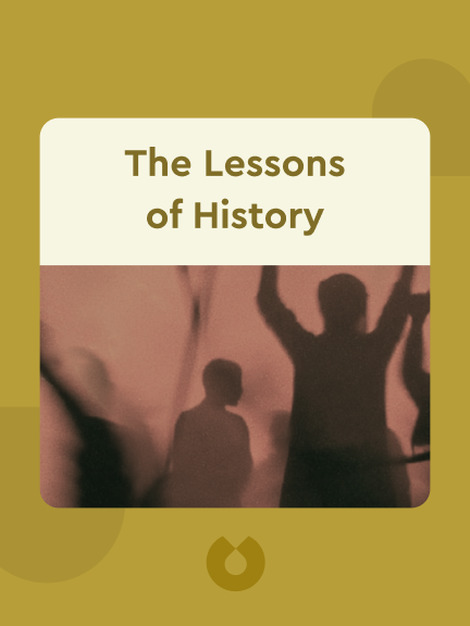 Along the way, it offers a variety of lessons on what history means for the present. Will Durant was a writer, historian and philosopher. Ariel Durant was a researcher and writer. The couple is best known for The Story of Civilization, an eleven-volume overview all of Western history. They were awarded the Pulitzer Prize for General Nonfiction and the Presidential Medal of Freedom for their work.